Today’s employees want to be more self-sufficient when it comes to managing and accessing their benefits, payrolls and other HR functions. According to a recent survey, a majority (73%) of current full-time U.S. workers expect that their employer can provide a high-level of employee self-service that would allow them to independently complete a variety of HR-related tasks. These tasks include; updating personal information, managing paid time off (PTO), viewing or downloading payroll data, clocking into and out of work and reviewing their work schedules. Many Americans prefer to handle the management of their own personal business - such as bill paying and banking - online rather than on paper, and that translates to HR as well. An overwhelming majority (80%) of the survey respondents indicated that they prefer doing their HR-related tasks online with a desktop or on their mobile devices. For smaller businesses, offering access to DIY HR tools can seem completely out of reach. The study also found that the likelihood of an employer offering some level of employee self-service strongly correlates the size of the organization. Of the employers that were surveyed, more than 65% of those that employed 20-500 workers indicated that they were able to offer their employees some level of self-service administrative HR tasks, while only 46% of those with under 20 employees were able to say the same. Regardless of business size, employees want to be able to access HR tools at their own discretion, on their own time and in their preferred way. Yet, according to the survey, more than half of employers with 500 employees or less do not currently offer their workforce any level of employee self-service. The infrastructure required to set up and manage such a system can be too complicated or expensive for the average employer. HR outsourcing can offer smaller businesses the accessibility to HR tools that their employees expect them to be able to provide. For example, Emplicity’s cloud-based workforce technology gives employers and employees access to tools like integrated payroll processing, time & attendance management and automated new hire and benefits enrollment. Updating personal information: 24/7 secure access to company and employee info via the MyEmplicity™ portal. Managing PTO: manage all paid time off and time off requests through a simple to follow process. Viewing or downloading payroll data: complete processing, reporting, tax depositing and filing pay stubs and W2s. Clocking into and out of work and reviewing work schedules: self-service employee and supervisor reporting integration with benefits, time & attendance. When employers give their employees more independence regarding basic HR tasks, they can spend more time and resources on other HR priorities like recruiting top talent, engagement and retention of existing employers and compliance with employment laws and other regulations. 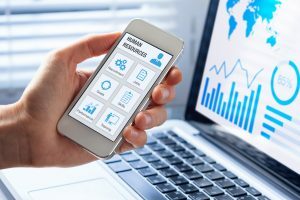 Additionally, a self-service HR system offers employers valuable insight into the needs and wants of their employees, so they can better understand them going forward.